Now that you wrote a blog post, your next step is to spend time promoting it! Did you think that writing a blog post was the end of the task? Learning how to promote your blog post is the next important step in online marketing. 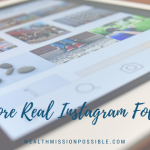 Sure, you can do great search engine optimization (SEO) in hope of getting organic search traffic, but you must couple that with your own blog post promotion in social media. Sharing blog posts in social media helps gain more exposure and offers value to your followers. Once you understand how to promote your blog, schedule it into your day if you want to experience success with online marketing. It’s not optional. Before I even get into how to promote your blog, let’s agree on something. Your blog must be really good and provide high-quality, useful content. You want your social media audience to read, get value from and then share your blog content. Keep it interesting, engaging and fresh. Here’s my rundown of places to promote your blog. These reflect the places from which I get the most traffic to my blog. You can also use tools like Hootsuite.com to schedule your posts ahead of time for a number of social networks. Facebook also has a scheduling feature for Facebook Pages. Send your latest blog post to your email list. You have one, right? Let your subscribers know why they should read the blog post. Facebook is a key social network to promote your blog post. Stay away from being spammy. Always include text that shows the value of your blog content. Be creative with your descriptive text in Twitter’s 140 character limit. Tweeting a link to your post notifies your followers about your latest blog content. Use good hashtags to introduce your blog content to those searching for that hashtag. If you are not on Google+, what are you waiting for? I get so much blog traffic and comments from Google+ communities. These are very engaged communities of people with various levels of expertise that are all willing to learn and share. You can increase the reach of your blog content. This is one underutilized way on how to promote your blog. Because it’s visual, use good images on your blog and then pin to Pinterest. Include some descriptive text to entice a user to click to read your content. You can promote your blog post with blog commenting. In a nutshell, when you leave a quality comment on someone’s blog, other will read it, and click over to your blog to read your posts. You can learn more about that here. With a well-thought out strategy, hard work and a workable schedule learning how to promote your blog posts can increase traffic and conversions. Content marketing and where to promote your blog posts go hand-in-hand. CLICK HERE to learn more about how to build your business with blog content marketing. Thanks for adding that great tip about LinkedIn. I am not active on that social network but now that you spoke so highly of it, I need to change that! What type of groups do you join on LinkedIn? Are they similar to FB groups or G+ communities? Great advice Lisa. A good list of places to promote your blog these are the main ones I use as well. Thank you Lisa! Very good information. Do you think we should promote the blog in more than 50 groups in Facebook like using Hootsuite? I´ve always have this question. thank you. That is a great question. It’s important to see your traffic sources. For example, if you did post in 50 FB groups, but your traffic from FB is extremely low, it may not be worth it to post there. I have found some quality groups on FB where I post helpful content. The traffic on that day corresponds to those posts. I recommend that you evaluate your traffic sources in your WordPress stats to see if you get a big boost in traffic from posting in all those groups. If, over a period of time you do not, find other places to get quality traffic. Totally agree. I use all these mediums except Pinterest. I think the most important is your email is because once you have built a good relationship with them, they will always click to see whatever content you post up when they see your email update. I totally agree that where writing a blog post is finished, the promotion should start. Our work is not done there. I’ve heard many marketers say they use a 80/20 principle. 20% producing content, 80% promotion! Brian Dean even sends out 200(!) emails to people for each blog post he writes. SEO is great, but it’s a long term strategy and not something to latch on to. I like to diversify my traffic sources. I’ve heard great things about Hootsuite, but i recently signed up for Manageflitter Pro and i’m really satisfied so far. Pinterest is also a great one because it won’t move fast in the feeds like a Tweet or FB post. And there is buyer traffic on Pinterest! Thanks for sharing Lisa, have a great day ahead. Thanks for taking the time to comment. I appreciate the value you add here. I am not familiar with Brian Dean – I need to seek him out. Sounds like he has some great tips. I agree that SEO is a long term strategy. A few years ago, it was mostly about SEO, but social media has really changed that. Now it’s more about building relationships and community. I’ve used Hootsuite for so long that I’ve not taken the time to look at other tools. I am going to check out Manageflitter Pro and see what it’s all about. Thanks for the suggestion. And you are very welcome for the virtual kick! Thanks so much for sharing, I definitely love Twitter and Facebook. Twitter website cards work really well for me. I just create a quick Image in Canva and create the card in twitter. Breaks up from the 140 text makes it more visual. 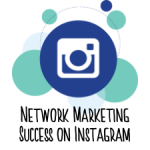 Would love your tips on how you share your Video And if you get traffic from Pinterest? Thanks for stopping by. I love your suggestions about Twitter website cards. I am not using those at the moment but will get going with it based on your helpful suggestion. Canva is such a great image tool! I also use PicMonkey much of the time. Soon I will create a post about sharing video. Yes, I get quite a bit of traffic from Pinterest. That was surprising to me since it seems to be centered on other things like recipes. It’s been good to me. Yes twitter Website cards are great also check out lead generation cards, I just got 5 leads from one ad I put up and the lead cost was under a dollar. As for Pintrest, I add my blog there although need to work on getting followers and understanding Pinterest. I need to catch up fast on the Twitter Website cards. Sounds like they are very powerful. Congrats on getting leads! Pinterest is an interesting social network. Usually I just follow other people’s Pinterest boards and Pin or Like their Pins. Then they follow me back most of the time. I also share on Twitter and mention their Twitter name. I am not very active on Pinterest these days but still get a nice flow of traffic. 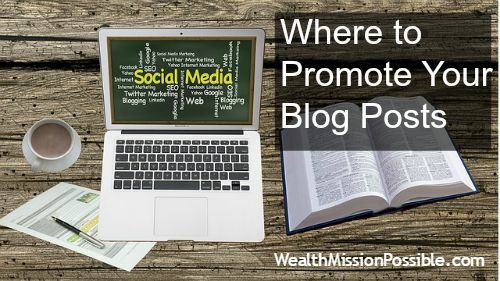 What a terrific post on how to promote your blog post after you have written it. I am just now learning various ways to promote my posts. This article is right on key for me. You wrote it in such a way, everyone can understand and what we need to do. Some of the methods, I haven’t used and will concentrate on doing so. I’m going to bookmark this article so I can come back to it over the weekend. I am learning so many new methods to promote my blog, I forgot about my e-mail list. That is funny because it should have been my first. Thanks for the reminder! Thank you so much for sharing, Lisa and you have a wonderful rest of the week. Thanks for taking the time to read my post. Glad that you got some tips from the article. Blog promotion is such a huge part of blogging and needs to be built into our daily or weekly activities. I do recommend checking your WordPress stats or Google Webmaster tools to find out where the majority of your traffic comes from. That’s a good indication of what is working really well for you. Of all of the comments on your list, my favorite two ways to promote my posts are by leaving other blog comments and through my email list. I do post them on Facebook as well, but most of my referral traffic comes from my email list. Thanks for adding your tips here! I appreciate you stopping by. Blog comments are so powerful…I am surprised more people don’t leave insightful comments so others will be compelled to visit their blogs!